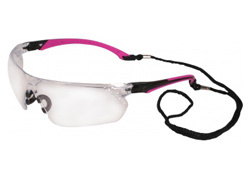 The Tiran is a new style with two distinctive colours of safety glasses and available in one lens type. It’s light weight and has a popular wraparound design. 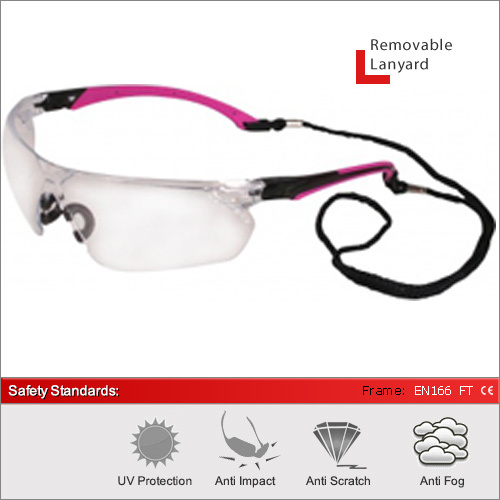 They have Optical Quality 1 lenses with a scratch resistant and Anti-fogging surface. With TPR sidearms and nose bridge for added comfort and lanyard you can easily alter these to fit your needs. The Tiran gives full UV protection. Giving protection in both UVA and UVB light.